A cloud based front-end CMS and hosting platform. No servers, software or databases, just HTML and CSS. 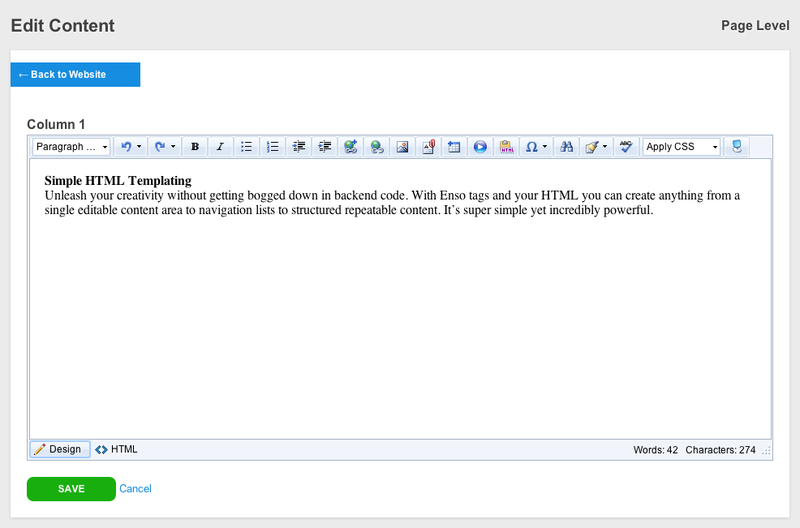 We've created 7 simple custom HTML tags for editable content that you add to your HTML. It's super simple and keeps you in complete control of your design without the hassle of back-end code or hosting. Clicking a blue box will take your client to a edit screen like the screenshot to the right. After saving their changes they will be redirected back to the page their editing.